Shark Poaching: Illegal Fishermen With 6600 Dead Sharks Off To Prison - We Love Sharks! Shark Poaching: Illegal Fishermen With 6600 Dead Sharks Off To Prison - We Love Sharks! Shark Poaching: A Chinese fishing crew gets up to four years in prison plus nearly $6 million in fines after being caught with 6,600 sharks, etc. Ecuadorean officials got a shocker last week (29 August, 2017) when they boarded a Chinese-flagged vessel. Staff of the Galápagos National Park earlier reported sighting it to the navy. 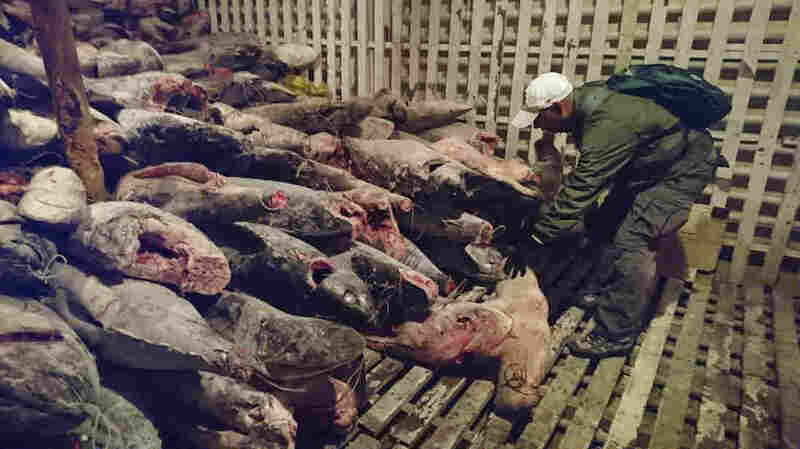 On boarding the vessel named “Fu Yuan Yu Leng 999,” the Ecuadorean navy found an indicting cargo. The vessel carried over 300 tons of several marine species including 6,600 dead sharks. 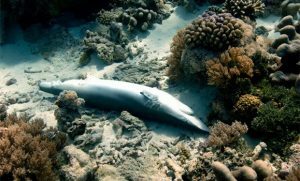 The dead sharks were mostly hammerheads.Others were treshers, makos and silky sharks which are all among the shark species that are illegal to fish because of the danger of extinction The dead sharks were found heaped in piles. An Ecuadorean judge found the crew guilty of possession and transportation of endangered species. As a result, they are facing one to four years in prison. The sentence came after a short trial that took place on Galápagos San Cristobal Island. Also, the crew members of this ship face hefty fines adding up to $5.9 million. As expected, this news sparked demonstrations outside the courtroom while it was in progress. Demonstrators came from far and near holding placards and protesting illegal fishing on Galápagos Islands. This region is one of the world’s biggest marine reserves. Fishing for sharks is prohibited in the marine reserve and according to National Geographic it’s a habitat to the largest number of sharks known in the world. UNESCO marks the area of over 50,000 square miles of water as being under protection. In a flagrant display of the ruthlessness of shark poaching, the navy caught the vessel right inside the marine reserve: a protected area. Despite the concerted efforts of several nations, conservation groups, and individuals, shark poaching remains a booming business globally. Shark poaching is still widespread partly due to the persistent demand for shark fin soup, an Asian dish. This soup ranks among the most expensive seafood on the same level with caviar and other fine truffles. Some reports show that a single bowl of shark fin soup can cost as much as $100. Some shark fin species fetch high prices of $10,000 to $20,000 per fin. Especially large species like the whale shark. Shark poaching and finning takes place when fishermen hunt sharks and cut off just the shark fins. Many times, the shark fins are removed while the shark is still alive. Afterwards, the still-living shark is thrown back – bleeding profusely – into the water. Because, these sharks are left without fins, they become easy prey for predators. Without fins the sharks face suffocation as they are unable to swim well. Therefore, they end up sinking to the bottom of the ocean to die slowly. Unfortunately, shark poaching and shark finning remain big business and big money. Sharks mature and reproduce very slowly compared to other fish species. Some sharks produce only one pup a year, and that pup may not even survive to adulthood. In addition, according to the Marine Policy Journal, shark poaching and fishing leads to approximately 100 million shark deaths each year. In fact, that would translate to 11,408 shark deaths each hour. Though that figure is still being debated, anything even close to that number greatly exceeds what shark populations would require to recover. If shark poaching does not stop, most species could become extinct in this lifetime. Another statistical report by Dalhousie University in Halifax, Canada, used data from shark catch reports and other documents to also capture unreported shark kills. They found that between 6.4% and 7.9% of the shark population are killed by humans annually. Whereas, rebound rate averages under 5% yearly. Basically: humans are killing more sharks than there are young sharks being born. In an attempt to reduce these numbers, most countries regulate their coastlines and monitor the catches of fishermen. Some countries have forbidden shark finning and fishermen must bring back the whole shark to port before fin removal. In a swift reaction, the Chinese government stated that it has been closely following the case. Authorities say they are conducting their own investigations to verify the Ecuadorean allegations. They also say that though the vessel was found in the reserve, there is no proof the fish were caught there. Whatever the case may be, the fishermen will be cooling their heels in prison for some time yet.